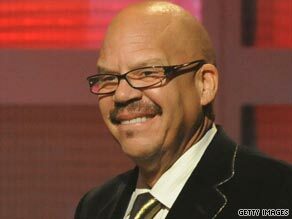 (CNN) -- Nationally syndicated radio host Tom Joyner raised his hand in victory. "I hope now they rest in peace," Tom Joyner said of his two great-uncles who were wrongfully executed. Nearly 100 years had passed since his great-uncles, Thomas Griffin and Meeks Griffin, were wrongfully executed in South Carolina. On Wednesday, a board voted 7-0 to pardon both men, clearing their names in the 1913 killing of a veteran of the Confederate Army. It marks the first time in history that South Carolina has issued a posthumous pardon in a capital murder case. "It really, really feels good," Joyner told CNN's Don Lemon. In the end, it took only about 25 minutes for their pardon, nearly a century in the making. "It's good for the community. It's good for the nation. Anytime that you can repair racism in this country is a step forward," Joyner said. He said the ruling won't bring back his great-uncles, who were electrocuted in 1915. But it does provide closure to his family. "I hope now they rest in peace." Many who were present were touched by the symbolism and significance of the moment. "I felt like I was a witness to a historical event. It was pretty exciting around here," said Peter O'Boyle, the chief spokesman for the Department of Probation, Parole and Pardon Services. Dwayne Green, an African-American member of the pardon board, said he admired Joyner for seeking the pardon. "He's not only done his family a service, but also the people of South Carolina." "There's no statute of limitations on doing the right thing," Green said. "There's so much good that can come out of this public show of mercy." The unanimous vote, he said, was heartwarming and satisfying. "It's a great opportunity to show how much South Carolina has changed," he said. "While change comes slow, outcomes like this are a positive sign." Joyner, the host of "The Tom Joyner Morning Show," had known nothing of his great-uncles' murder convictions until last year. That's when esteemed Harvard professor Henry Louis Gates Jr. uncovered Joyner's past as part of the PBS documentary "African American Lives 2." In the documentary, Joyner explains that he never knew why his grandmother left South Carolina. "All I know is she left home and she ended up in Florida and she didn't stay in touch with her people, either," Joyner says. "Do you know why your grandmother moved away?" Gates says. "No," Joyner says. "I have no idea." Gates then shows him his great-uncles' death certificates. "Cause of death: Legal electrocution," it says. "They electrocuted my --" an astonished Joyner says, unable to finish his sentence. In that moment, Joyner began the journey that led him to Wednesday's pardon. Gates and legal historian Paul Finkelman aided in the research of his family history, and helped lobby South Carolina to pardon the two Griffin brothers. It wasn't the first time a pardon had been sought for the men. According to their research, more than 150 citizens of Blackstock, South Carolina, asked the governor at the time for their sentences to be commuted. Many prominent whites in the community, including the mayor and former sheriff of Chester County, came to the defense of the Griffin brothers. "I heard this case, and I don't think I could have given a verdict of guilty," one magistrate wrote. The Griffin brothers had owned 130 acres in the area and were well-liked in the community. They were convicted of killing John Q. Lewis, a 73-year-old veteran of the Civil War. Lewis was slain in his home on April 24, 1913. "Only the most profound sense of injustice would have led so many white leaders of the community and ordinary white citizens to publicly support blacks convicted of murdering a white man," Finkelman said in a letter to the board of paroles and pardons. According to the research uncovered by Finkelman, Lewis, the former Confederate soldier, apparently had an intimate relationship with a married 22-year-old black woman, Anna Davis. Suspicion initially turned to her and her husband after the murder. "It is plausible to believe that the sheriff did not want to pursue Mr. and Mrs. Davis because if they were tried, it would have led to a scandalous discussion in open court," Finkelman wrote to the pardon board on October 2, 2008. The investigation later turned to another man, Monk Stevenson, who would ultimately point police to the Griffin brothers and two other black men. Stevenson received a life sentence in exchange. "Stevenson later told a fellow inmate that he had implicated the Griffin brothers because he believed they were wealthy enough to pay for legal counsel, and as such would be acquitted," Finkelman said. The Griffin brothers and the two other men, Nelson Brice and John Crosby, were convicted in a trial that lasted four days. They were electrocuted on September 29, 1915. Now, Joyner says he urges all African-Americans to explore their pasts -- no matter how difficult that journey may be. "You can look at your ancestor struggles of the past and be encouraged. If they can go through what they went through, you can do much better," he said. His journey is continuing. He wants to know even more about his great-uncles -- what happened to their land, how they made the community better, what made them so well-liked by whites in segregated South Carolina. "Until we can repair some of the deeds of the past, we can't really look forward," he said.